While rehousing the Benjamin Hoag papers, I came across some field notes wrapped in a piece of paper. 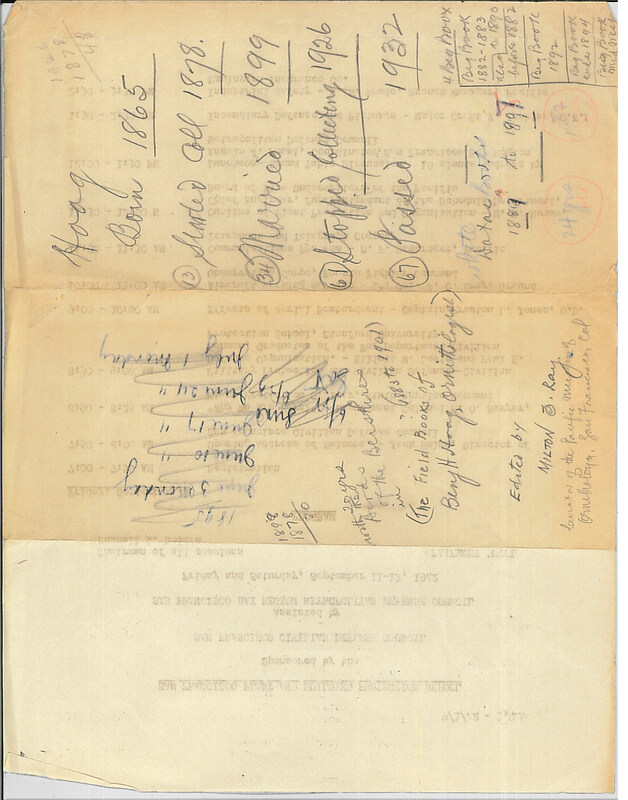 The Hoag papers date from 1878-1916. The wrapping paper looks to have notes written by Milton Ray, an ornithologist and oologist whose papers also reside at the MVZ. I assume that the Hoag egg collection was bought by Ray and then later donated to the MVZ. What’s interesting is that on the back of Ray’s notes is a schedule of sessions dated September 11-12, 1942. It is titled, “San Francisco Plant and Building Protection School, Sponsored by the San Francisco Civilian Defense council, Assisted by the San Francisco Bay Region Metropolitan Defense Council.” The series of talks took place at the Fairmont Hotel. The field notes wrapped inside date back to 1889. This little piece of San Francisco WWII history is a gem within a gem. The sessions listed are humbling to think about (e.g. “Effect of Aerial Bombardment”). 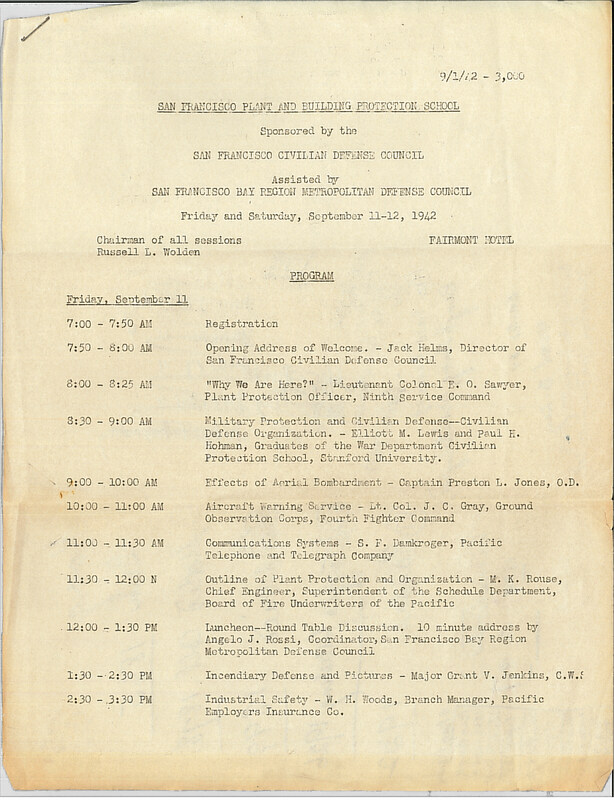 Ray’s scratch paper is a snap shot of some of the defense efforts organized in San Francisco and who would of thought something like this would be in the MVZ Archives?!!! This entry was posted in Field notes. Bookmark the permalink.